The client initially asked TABI LABO to produce tie-in content promoting Kirin’s Gogo no Kocha limited-time pop-up store in a metropolitan area. After extensive research, we discovered the main obstacle was the demand for tea beverages decreasing during summer. We then suggested a comprehensive promotional plan, believing that only relying on native advertising would limit access to a small percentage of consumers. 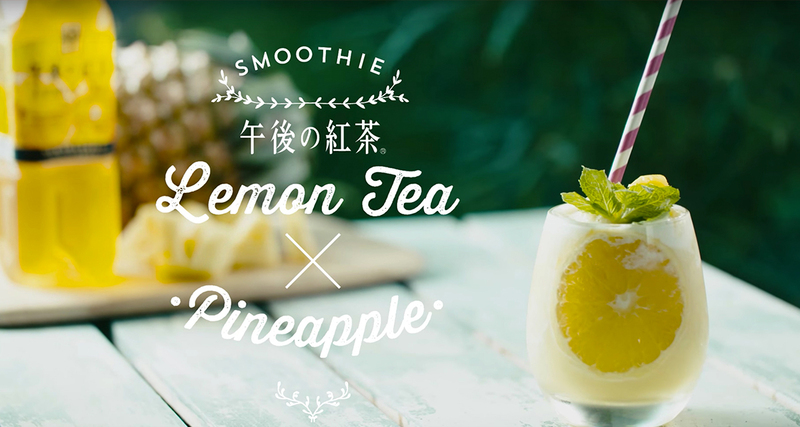 Hence we created a campaign around smoothie recipes with Kirin’s Gogo no Kocha as the main ingredient, utilizing multiple formats including videos to produce and deliver buzz-worthy content. [Recognition] We increased product recognition by placing emphasis on the pop-up store in a TABI LABO tie-in article. [Action] We assigned a smoothie expert to create recipes using Gogo no Kocha, encouraging readers to drink Gogo no Kocha during the summer season and showcasing them in video format. For creative, we caught the international trend of recipe videos before they became popular in Japan, then tying it to the smoothie trend in Japan for our Gogo no Kocha promotion. The video not only garnered 300,000 organic views, but the promotion also succeeded in increasing purchase intent by 40 percent, inspiring millennials to try the recipe, and therefore buy the product. Furthermore, the smoothie recipe video was used by Kirin as owned media content, and its popularity led to the creation of a pop-up smoothie stand the following year. Summer only: You can only try this tea shaved ice store for 11 days!